The Story Of A Player. This is a Minecraft story by MiningYoshiProPM. One day, a person, newbie, spawned. He had no idea what or how to do anything, so he walked around and tried to find advice. He searched, 6 hours for signs of civilization and then he gave up. He stood there, but he saw a rooftop peek over the mountain, infront of him. He was excited, and went and climbed over the mountain, to find a small village. It was night, so no villagers where outside, which made him think that this was abondend. Then he heard a sound. He looked behind him and saw a green man. "Hello, can you.." he started, but the person didn't stop, "You are very weird sir." he exclaimed. But the green man kept walking towards him untill he attacked him. "SIR!" the frightend player exclaimed, but no words came from the man except a moaning sound. He realized the world was against him, so he ran to one of the villager's houses for shelter, but instead went into the Blacksmith. There was no doors, and he was frightend, but on the coner of his eye he saw a chest. "Well they must have been in a hurry to leave" he said, still thinking the village was abonded. He took two blocks from the chest and placed it on the entrance, so the zombie couldn't get him. He slept on the floor until the sun came up. "That weird man must be gone!" he said and left the blacksmith, but not before taking from the chest. Now because it was day, the villagers came out of their home. When he left the Blacksmith he saw the villagers. "Oh the village is not abonded!" he said. A villager asked him about his name "My name is player" said Player. Then he felt bad from taking the stuff from the Blacksmith. "I am sorry I took from your Blacksmith, I thought this village was abonded" apologized Player. Then a thunder cloud came over the Villager's head. "YOU DID WHAT?". "WE WILL KILL YOU" continued the villager. "Probably shoudn't have said that" said Player as he ran from the heard of villagers trying to kill him. He ran and ran, untill he was sure he'd lost them. Then on the ground was an item strange to Player, when he picked it up, he realized it was a book! It was titled "How to get to the End". He was very excited to get to the End, of this cruel world. But then he found out that the 'End' was a dimension. "Well atleast I got a goal, I guess" said Player. He read and read. And he figured out how to get to the End. "I will counqer this world now, I've got this book!" annocuned Player. He spent hours learning how to craft, build and stuff. He started work on going to the end. Seconds past, then minutes, then hours, day and months. Untill he had been equipped to go to the End. "Well my castle's done, my diamond armor, enchanted is 100% health, that whole chunk that I dug up 'till bedrock supplied me with a lot of ores and finally my roller coaster is done" said Player to himself. Now I can find the end. He took the 'Eye of ender' with him and threw it, he finally found the stronghold with the End portal. He fought the zombies and silver fish learking around. When he finally reached the portal he knew something was wrong. "Why isn't it light up?" he shouted. Then he remebered that he needed to put enderpearls, enderpearls that he didn't have "GOD DAM IT" shouted Player on the top of his lungs. He waited for endermen to spawn for days! He finally killed enough endermen to light up the portal. He jumped in and saw a very strange floating world, with a very strange sky. He tried not to look at the endermen but failed and nearly died when the ender dragon attacked him. He exploded all the ender crystals and deafted the ender dragon. He found a portal back to home. He jumped in, urgently wanting to see his animals and home, wanting to sleep for he was very tired. Then he heard two diffrent voices "I see the player that you mean" "Oh you mean player" "Yes" "He has reached a higher level now he can read our thought" the conversation continued "He has not reached the highest level" and continued "The universe gave you life" and countinued. He then came home. But something tragic happened HE DIED! But then he realized something, that it was just a game. He woke up in reality and came over to your house and broke the 4th wall with a hammer. But he was not dreaming, he had just respawned and "reached a higher level now". And that my friends is where our story ends, but his story isn't finished, it was just the begining. Thx, you also earned a sub! 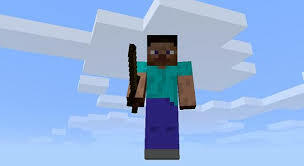 I read it, IT WAS AWSOME OMMGGG U ARE GUUUUD AT MAKING MINECRAFTTTT STTOORRRIIEEESSSSSSS!!!!!!!!!!!!!!!!!! Is Microsoft Buying Mojang That Bad? 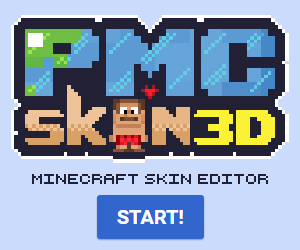 How to start a successful Minecraft server [COMPLETE GUIDE]. How does griefing affect the community?